If either the M1 or M2 seat memory switch is pressed, the outer mirror control ECU assembly (driver door) detects the switch operation and sends the seat memory switch signal to the main body ECU (driver side junction block assembly) via CAN communication. 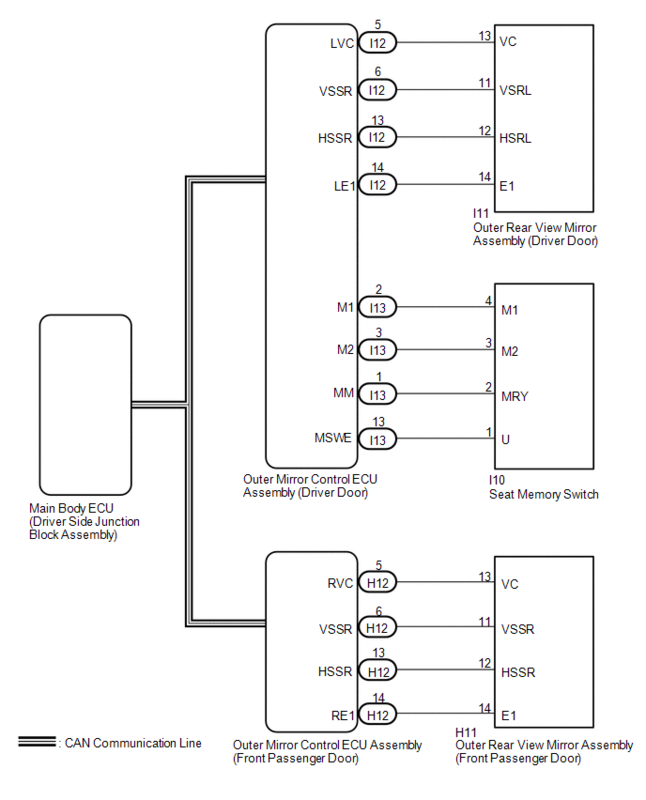 On receiving the seat memory switch signal, the main body ECU (driver side junction block assembly) sends the memory request signal to each outer mirror control ECU assembly via CAN communication. When receiving this signal, each outer mirror control ECU assembly stores the mirror surface position based on information from the mirror position sensor, which is built into the outer rear view mirror assembly. Each outer rear view mirror assembly has a built-in mirror vertical position sensor and mirror horizontal position sensor. The mirror surface position will not be memorized if the ignition switch is not ON. The mirror surface position will not be stored if the seat memory SET switch and 2 of the seat memory switches are pressed simultaneously. If the operation fails, the mirror surface position will not be memorized until the seat memory SET switch is turned off. The mirror surface position will not be memorized when the mirror is operated manually. (d) Enter the following menus: Body Electrical / Mirror L / Data List. The Techstream display changes between ON and OFF according to the switch operations. 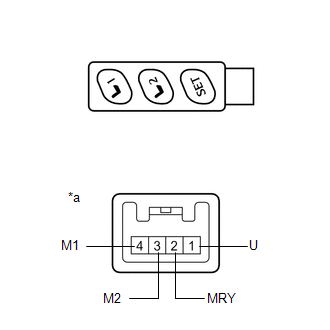 (a) When any seat memory switch (M1 or M2 switch) is pressed, check that the driver seat moves to the memorized position. The driver seat moves to the memorized position. (a) Disconnect the I13 connector from the outer mirror control ECU assembly. (b) Disconnect the I10 connector from the seat memory switch. (a) Replace the outer rear view mirror assembly (driver door) (See page ). Memory and reactivation function is normal. 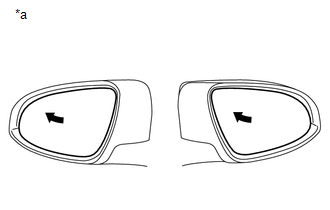 (a) Replace the outer rear view mirror assembly (front passenger door) (See page ).